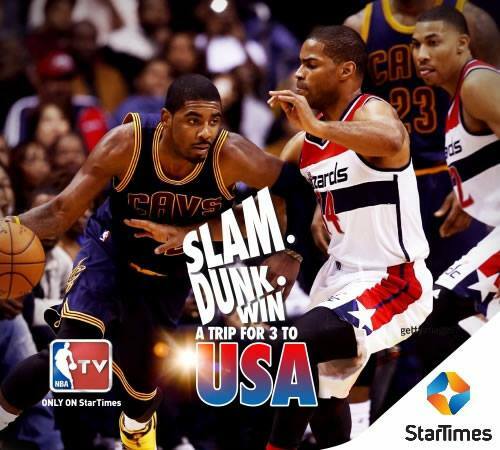 STARTIMES "SLAM DUNK" WIN A TRIP FOR 3 TO USA!!! * Like StarTimes Nigeria official Facebook page. *Register Your Smartcard Information and upload a picture or the Youtube url video clip of yourself doing a Basketball stunt. *Invite family and friends to like your picture or video on our facebook page.